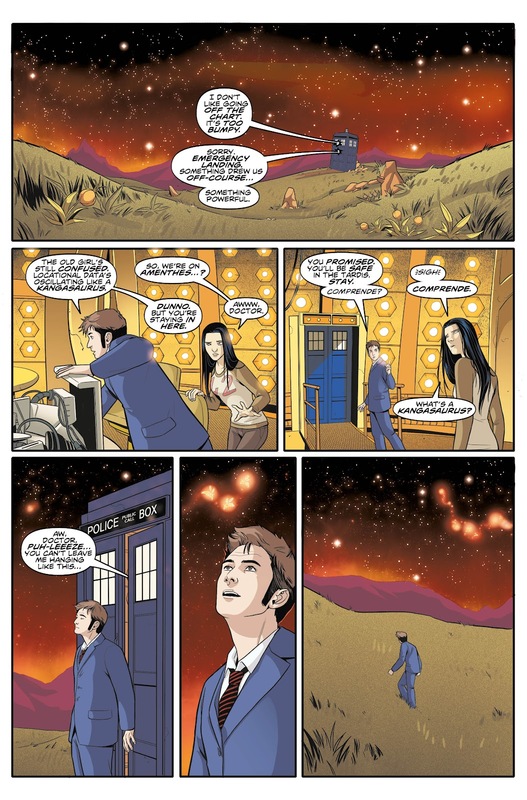 The Fellowship has obtained a first look at DOCTOR WHO: THE TENTH DOCTOR #14 from Titan Comics. 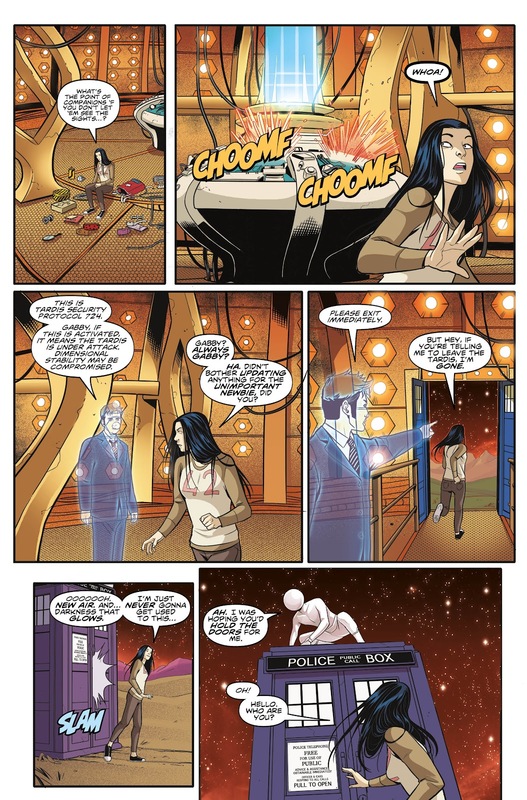 The issue, which hits stores September 14th, is written by Nick Abadzis with art by Eleonora Carlini and colors by Arianna Florean. 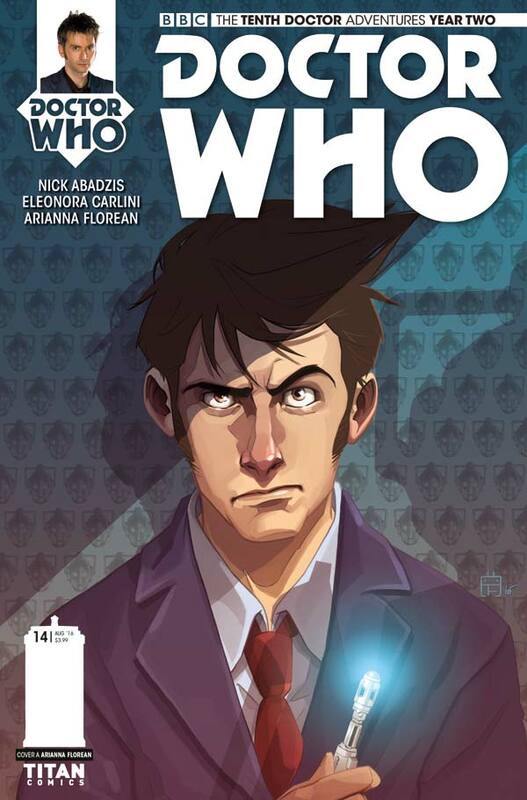 The cover is by Arianna Florean, with a photo variant, and a variant by Simon Myers.